Written by Alex on July 6, 2018 . 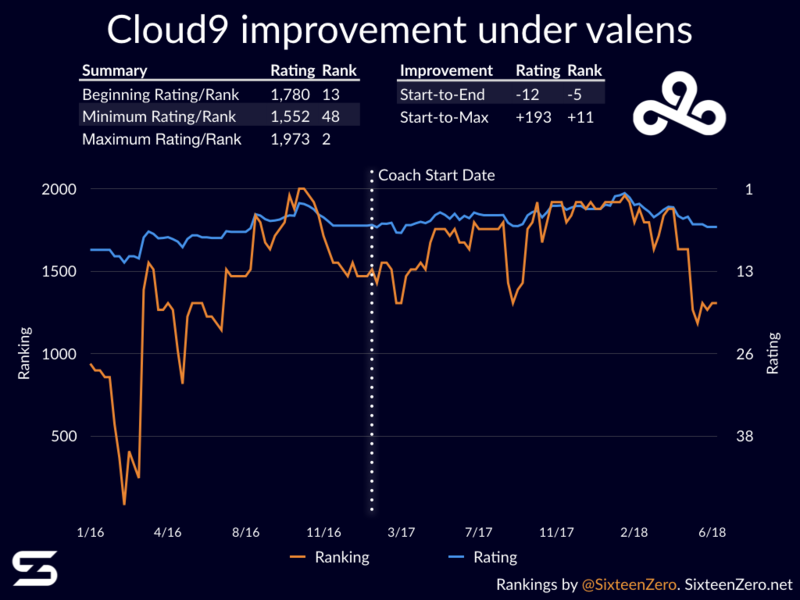 Coaches are a somewhat mysterious force to CSGO spectators. It's difficult to understand the role a coach might play in influencing his team's success. Some seem more like cheerleaders, while others seem to play a much more fundamental role in crafting the strategy of the team. 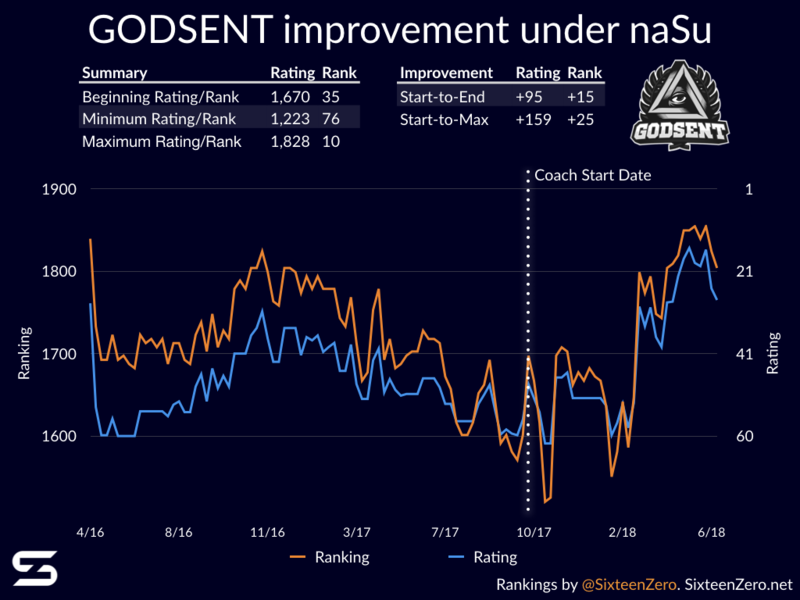 In this piece, we take a look at some legendary CSGO coaches and how their team performance changed after the coach was introduced. We measure performance using two related models. 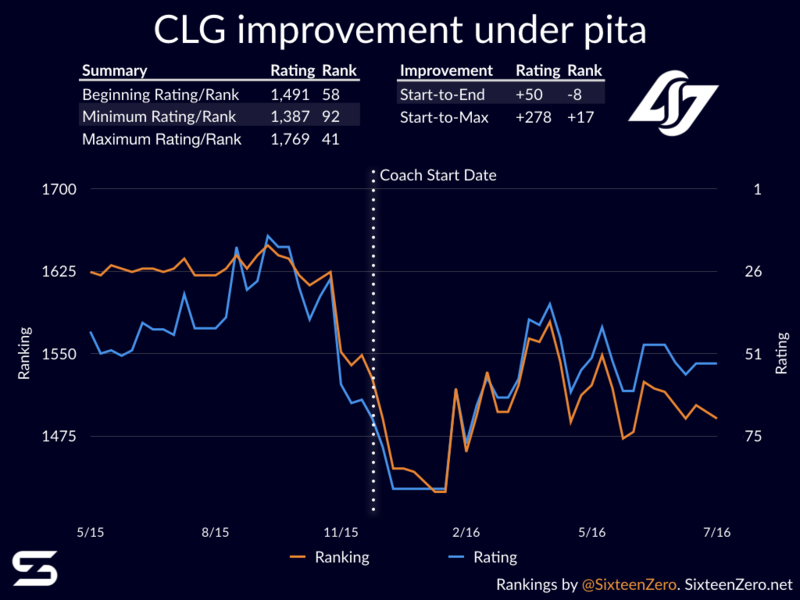 First, we look at our skill rating model, which is a modified version of glicko2, adapted for CSGO. 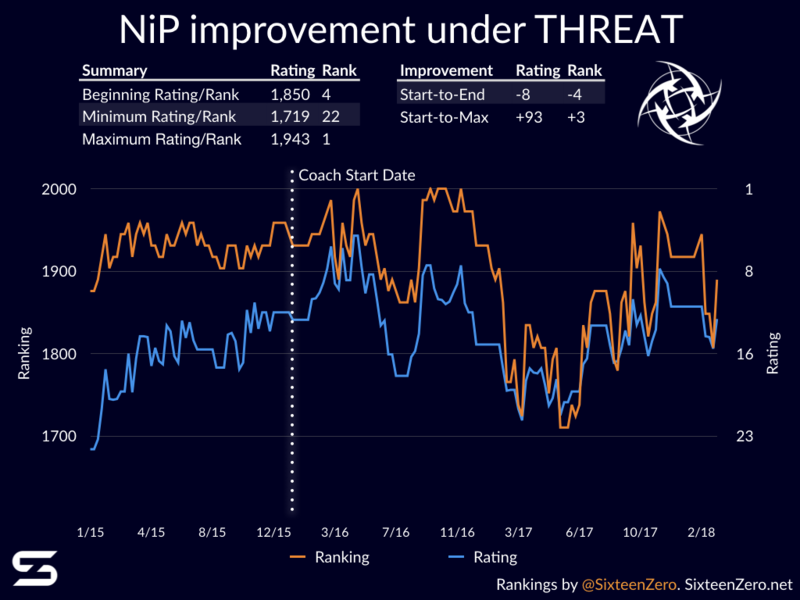 Second, we look to overall rankings based on the same model. We also provide a couple of different ways of evaluating improvement. 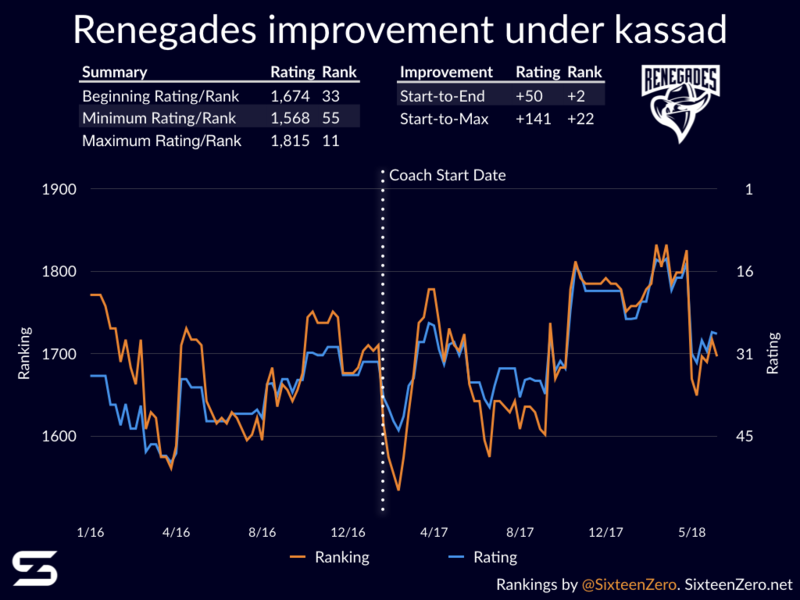 Some coaches have brought sustained, long-term improvement to their squads. Others have significant peak improvements, but struggle to instill success throughout their entire tenure. 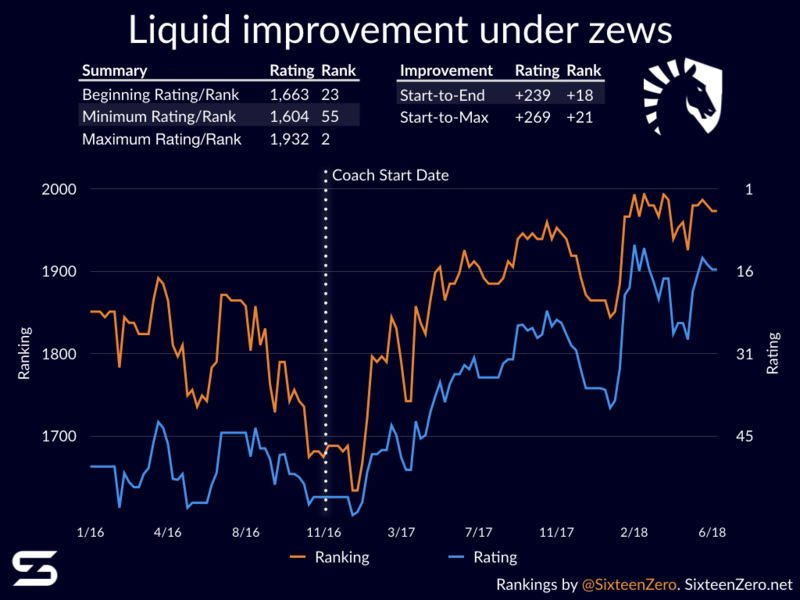 So we not only measure success both from the coach's start rating to the end rating, but also from their start rating to their peak rating.